This Purina sign was a part of a Promotion during 2018. If you bought a bag of feed, you got the sign. However many feed retailers sold them instead of giving them away. That is how we got them, we had to buy them instead of getting them with our feed. 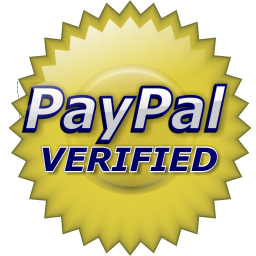 We have found these signs for sale on ebay and other sites for 12.99 upto $16.99 with shipping anywhere from $2 to $8 per sign. These signs were instantly made into a collectable items. Each sign measures 7" Tall x 11" Wide and are fairly thick. Much thicker than your average Beware of the Dog or No Tresspassing sign. Get yours while we have them. 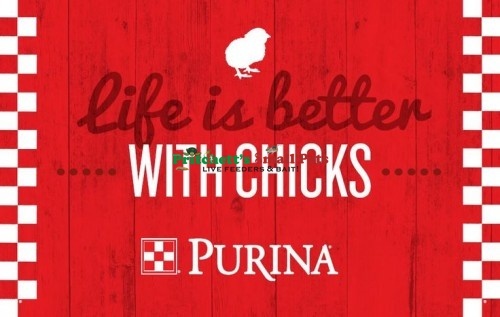 Click the button below to add the Purina Caution: Life Is Better With Chicks Metal Sign to your wish list.